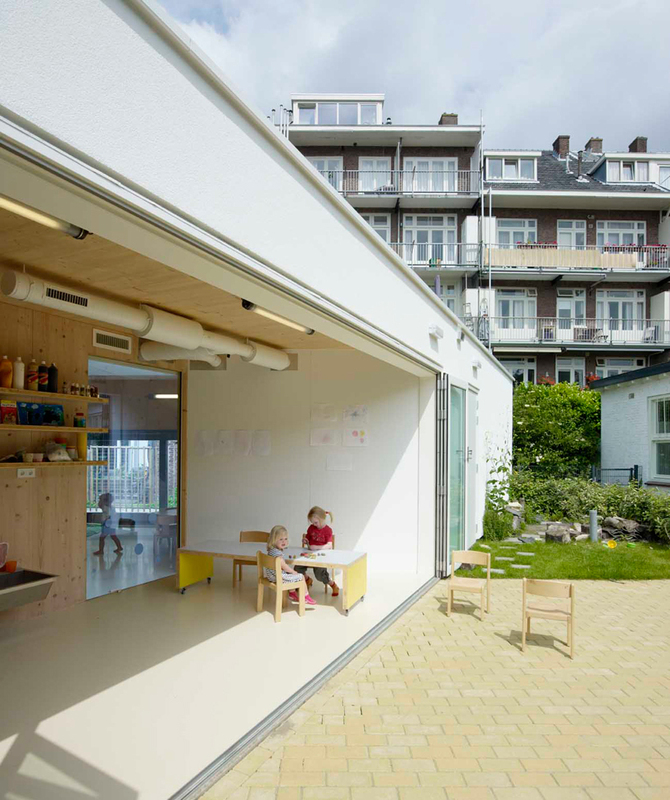 NEXT architects is an architectural practice based in amsterdam, netherlands, and beijing, china. 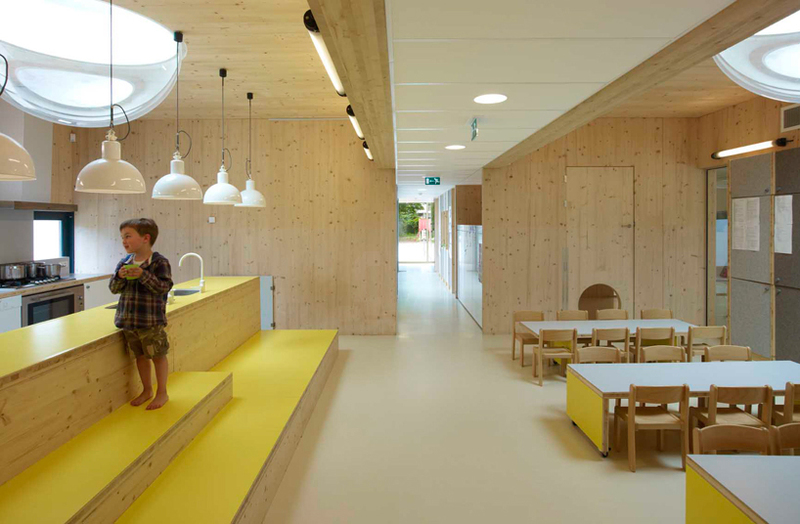 the studio comprises architects bart reuser, marijn schenk, michel schreinemachers, and john van de water. 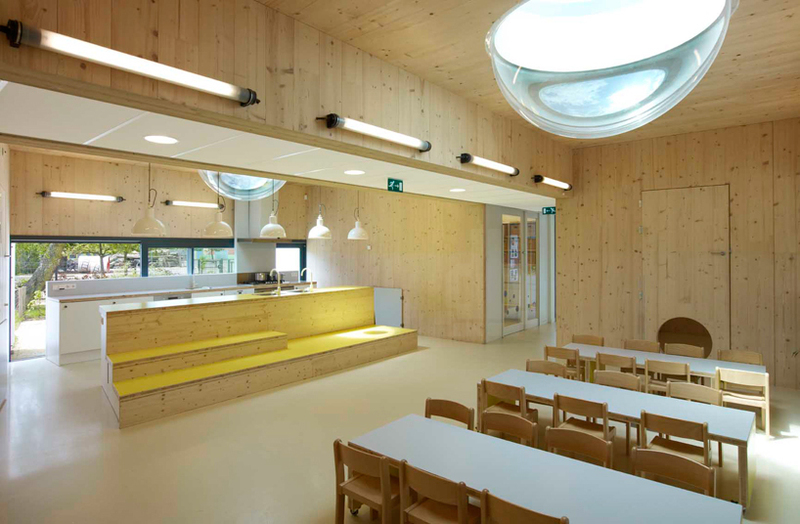 in amsterdam, a children’s school is illuminated by rotund spheroid sky lights, and named after hestia, the goddess of hearth and architecture. 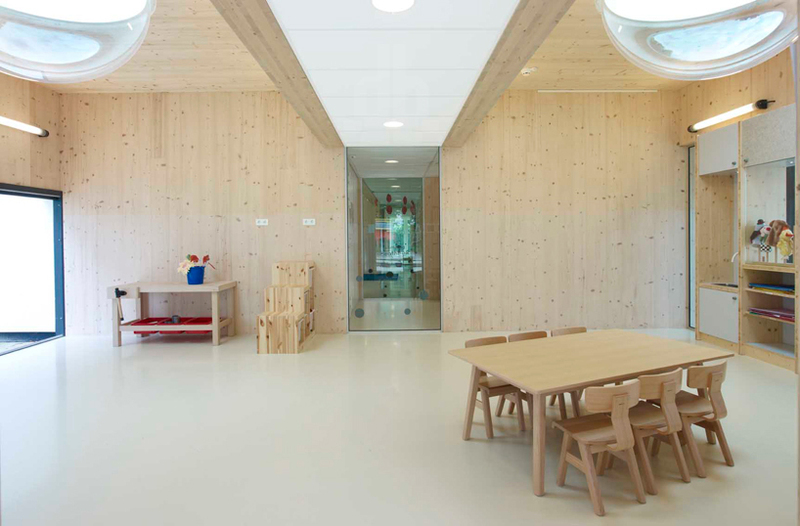 NEXT architects + claudia linder have brought the popular teaching philosophy of the reggio emilia to life in the ‘hestia daycare center’. 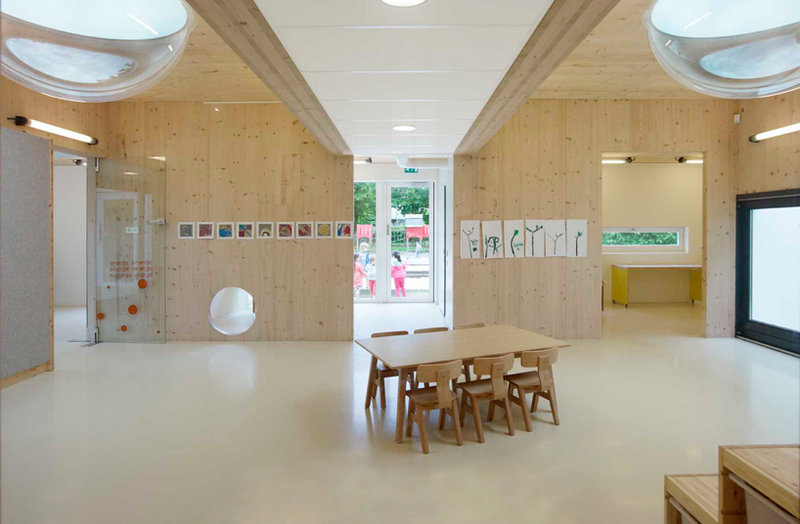 according to the reggio emilia approach, the role of the physical environment has a significant impact on the development of the child and is often referred to as the ‘third teacher’. 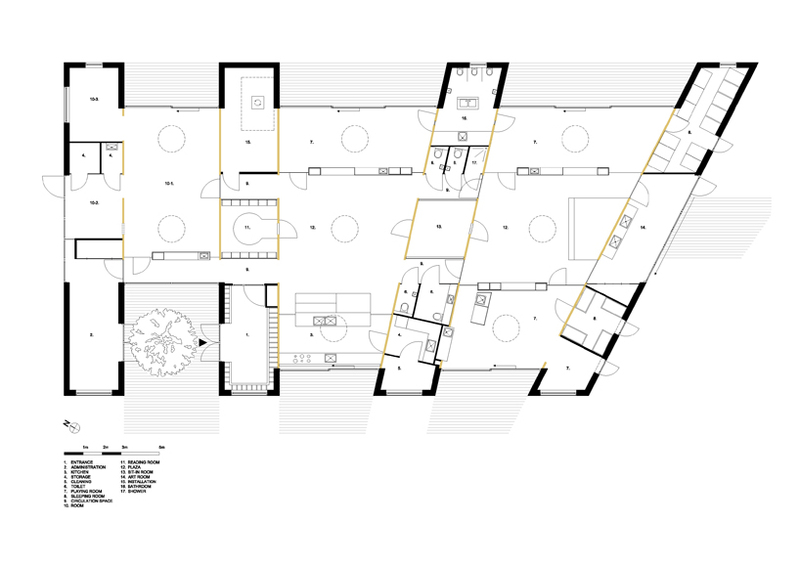 the importance of this theory has been translated into the spatial concept of the building in the spirit of a city. 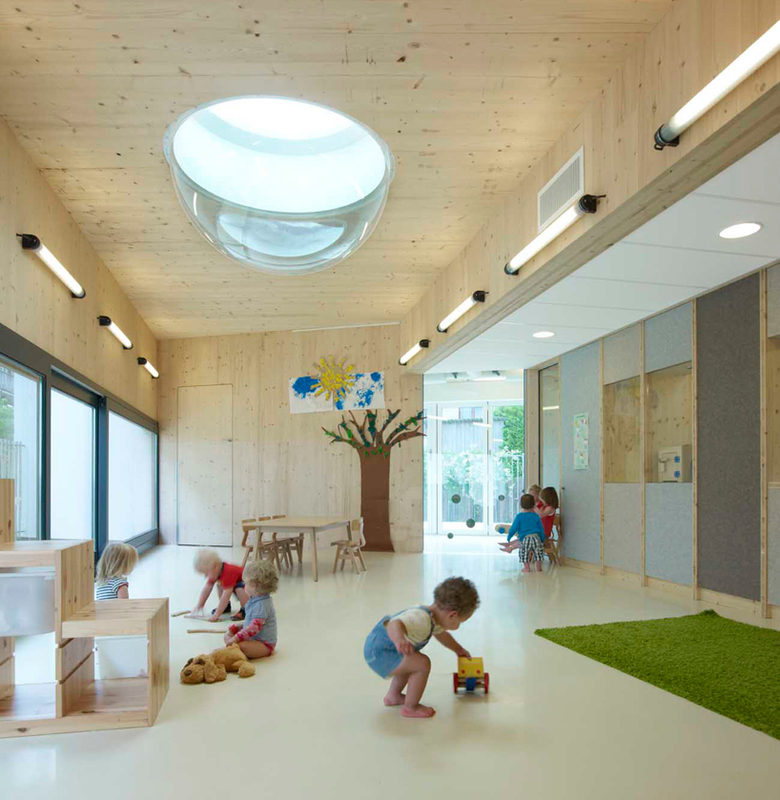 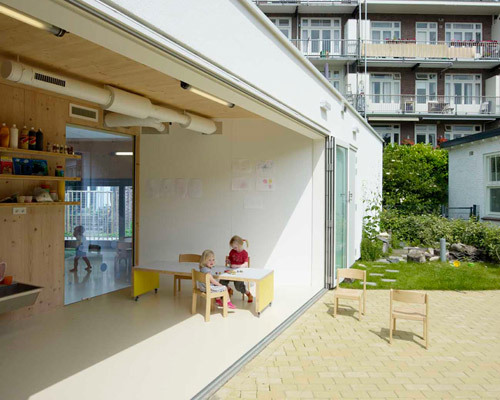 a collection of rooms, with various heights, and spaces measuring in different areas, allow the toddlers to use exploration as an active role in learning. 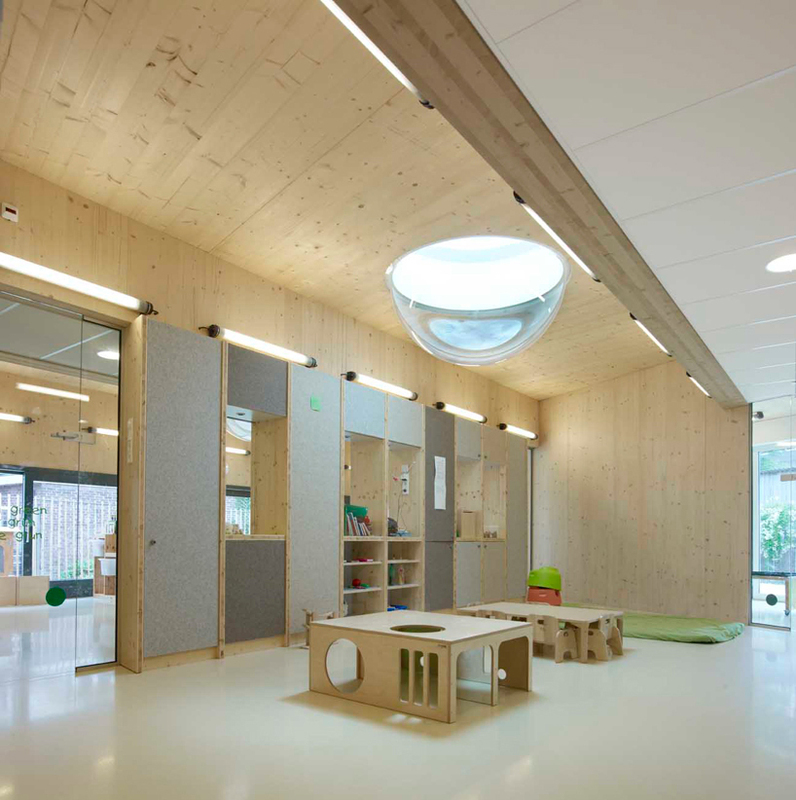 the tactile scale stimulates the children’s navigational skills by moving around their surroundings much like an urban environment. 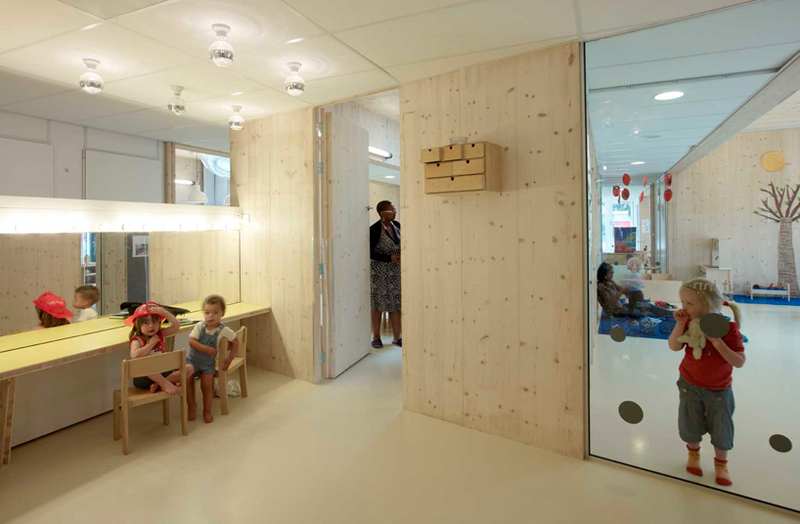 ‘the hundred languages’ belief is that all children express themselves in at least one hundred ways. 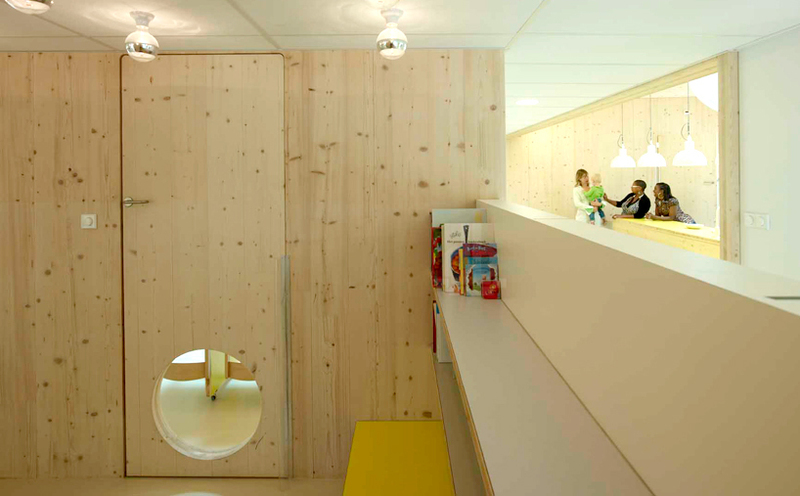 this is taken literally as signage through the daycare is written in multiple languages.